Each of the 50 chalets is unique with individual floor plans. 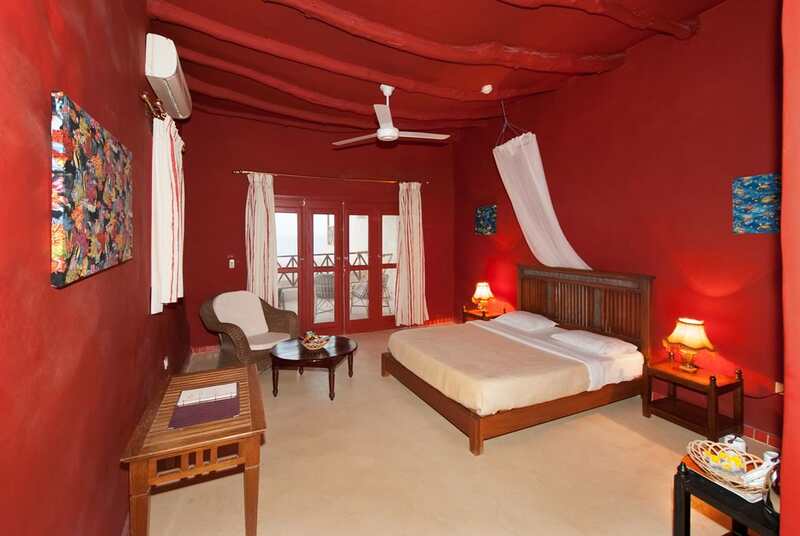 Varying stylish elements and colors influence the tastefully decorated rooms. 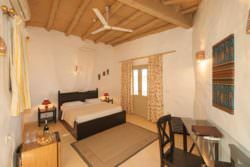 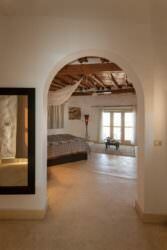 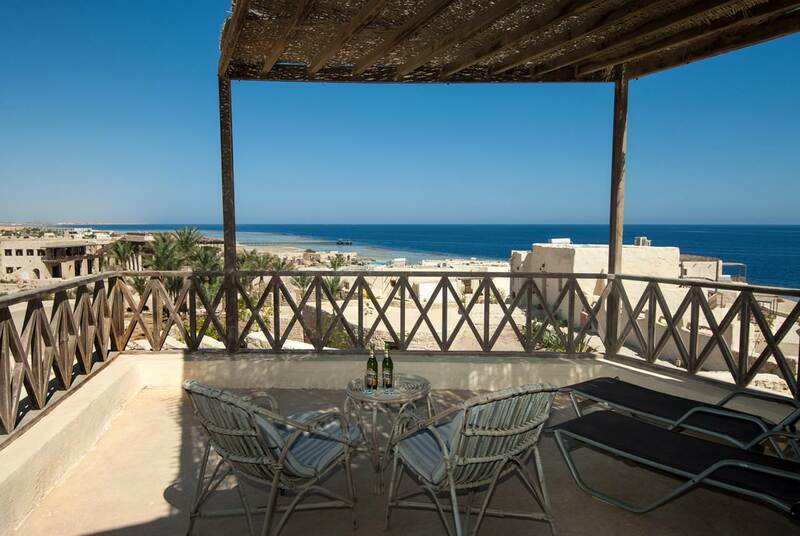 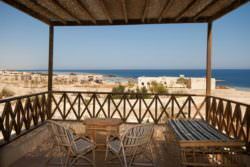 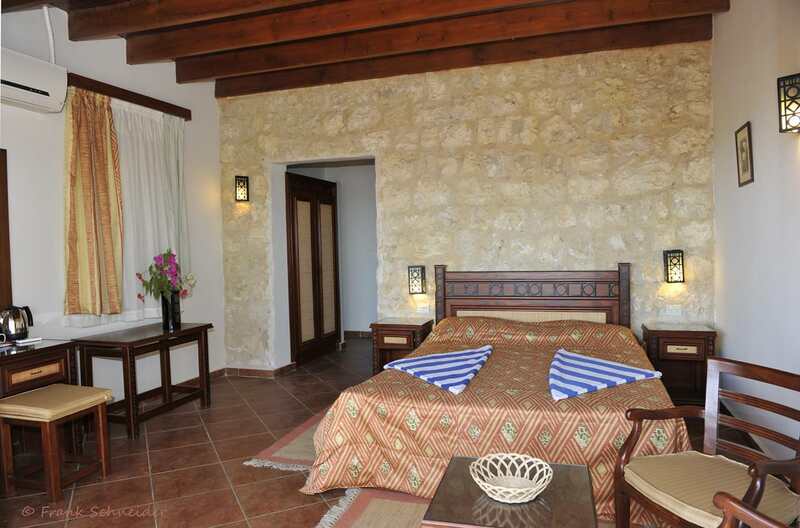 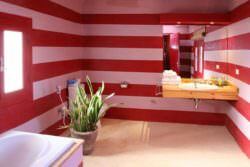 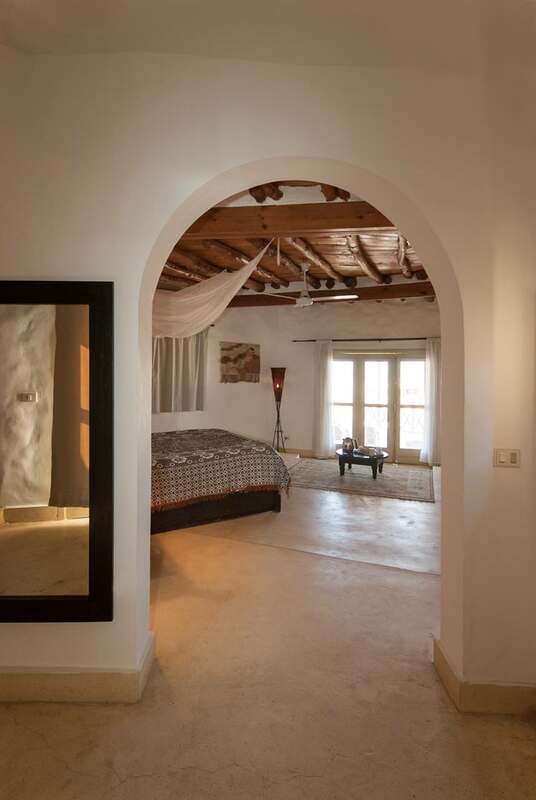 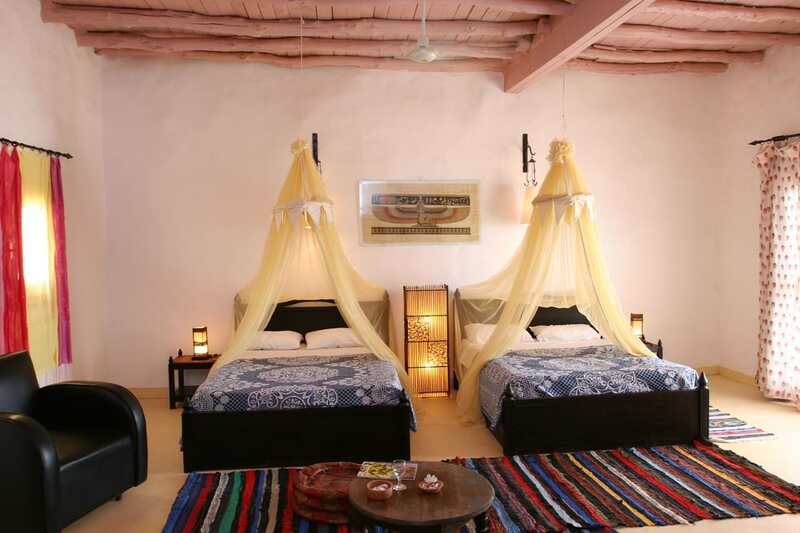 All rooms have been built of natural building materials and decorated in Nubian style. 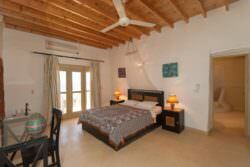 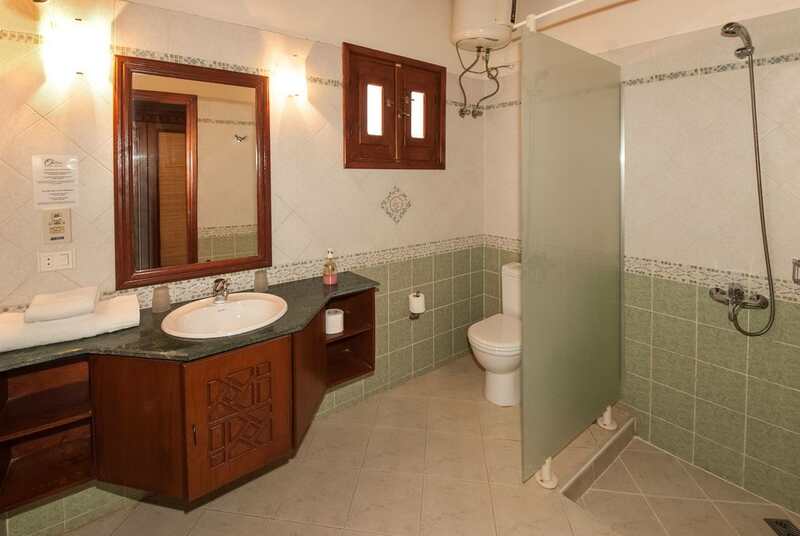 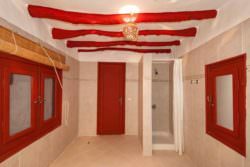 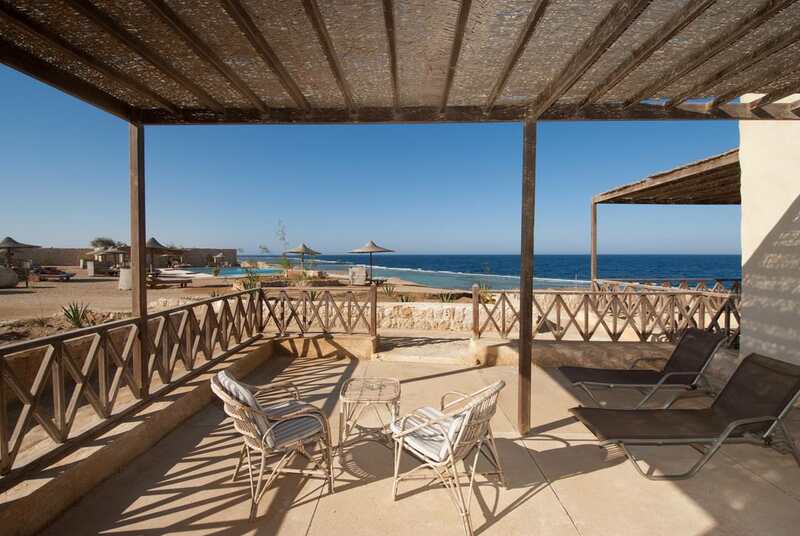 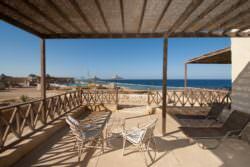 All chalets consist of a sleeping room, bathroom with shower, WC and a terrace with sea view. 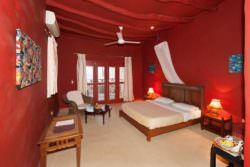 They are all equipped with air conditioning, mosquito net and minibar. 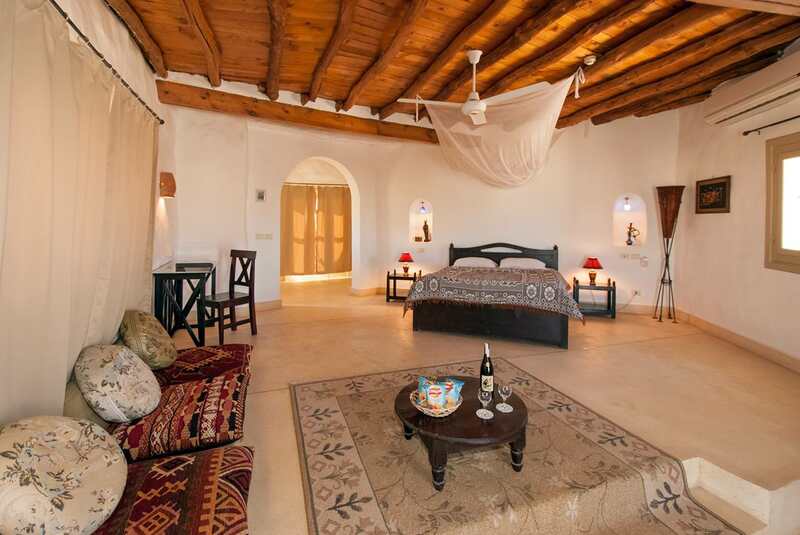 As a template we use the Nubian construction of the houses in order to ensure a natural air conditioning of the chalets. Solar panels heat the water for the bathrooms. 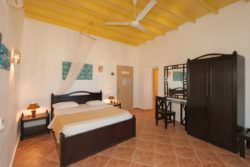 All rooms are equipped with 220 volt sockets. 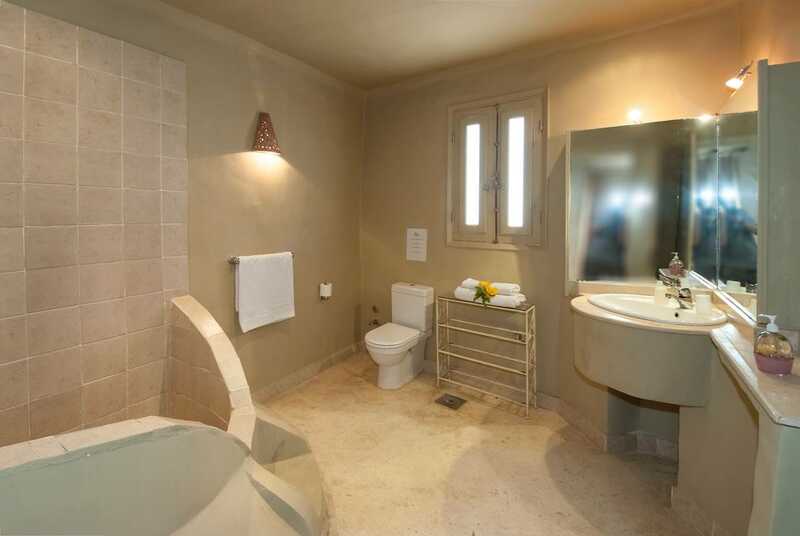 “The Oasis” has two room categories: Standard and Deluxe. 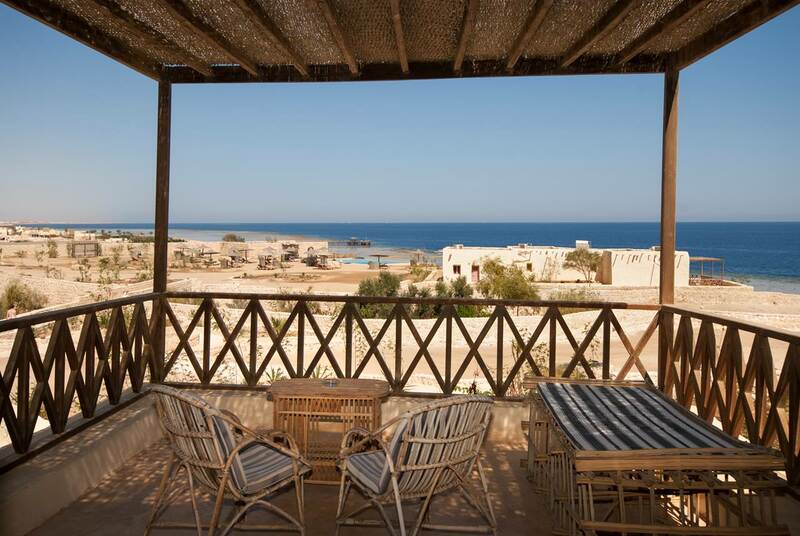 The deluxe rooms are more spacious, with a breath-taking view of the Red Sea and an electric kettle for preparing coffee or tea. 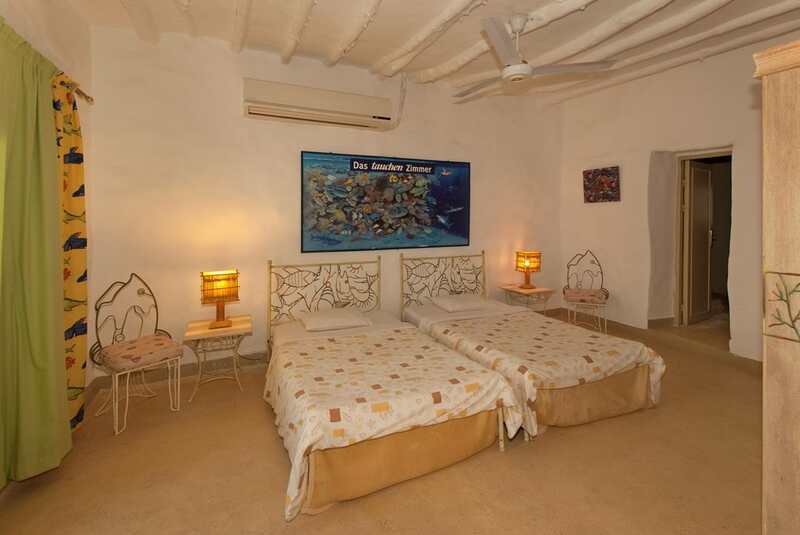 Furthermore, you can choose between double beds or twin beds (depending on availability). In some of the chalets, an extra bed for a third person can be provided (a surcharge applies).